An IBM PCIe Cryptographic Coprocessor is a high-performance hardware security module (HSM) suitable for high-security processing and high-speed cryptographic operations. 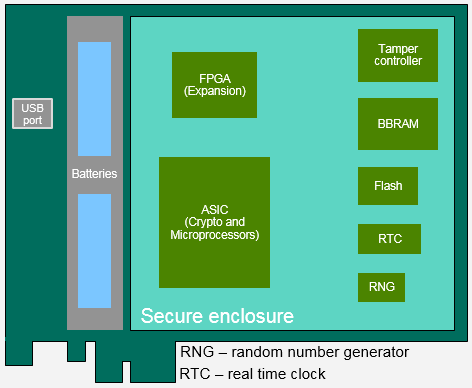 The IBM PCIeCC2 is the latest generation and fastest of the IBM cryptographic coprocessor family. 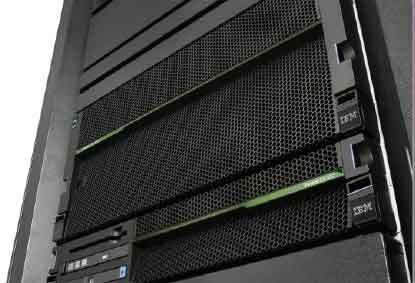 Its predecessor is the IBM PCIe Cryptographic Coprocessor Version 1 (PCIeCC). The IBM PCIe Cryptographic Coprocessor Version 2 (PCIeCC2) is a hardware security module (HSM) that is designed for improved performance and security rich services for your sensitive workloads and to deliver high throughput for cryptographic functions. For a detailed summary of the capabilities and specifications of the PCIeCC2, refer to the IBM 4767 Explainer (PDF, 445 KB). 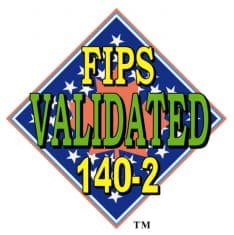 Federal Information Processing Standards (FIPS) are issued by the U.S. National Institute of Standards and Technology (NIST). The PCIeCC2 cryptographic processes are performed within an enclosure on the HSM that is validated to FIPS PUB 140-2, Security Requirements for Cryptographic Modules, Overall Security Level 4. See FIPS certification number 3164 (link resides outside of ibm.com) on the Computer Security Resource Center website for the certification. Level 4 is the highest level of certification achievable for commercial cryptographic devices. See FIPS status on the IBM PCIeCC2 FAQ page for additional information. 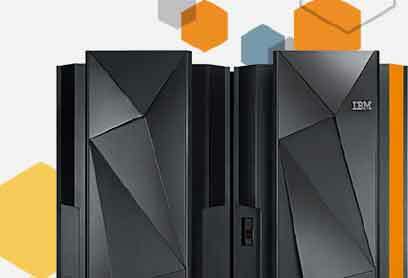 The PCIeCC2 is available as feature code (FC) 0890 (Crypto Express5S, or CEX5S) on IBM Z mainframes (z14®, z13s™, and z13® only), either on z/OS® or Linux® on z Systems® operating systems. FC 0890 requires FC 3863 - CPACF (Central Processor Assist for Cryptographic Functions) DES/TDES Enablement. CPACF is a set of cryptographic instructions providing improved performance through hardware acceleration. Using the cryptographic hardware, you gain security from using the CPACF and the Crypto feature through in-kernel cryptography APIs, and for Linux on IBM Z the libica cryptographic functions library. On z/OS, IBM offers the Integrated Cryptographic Service Facility (ICSF) component that ships with the base product. 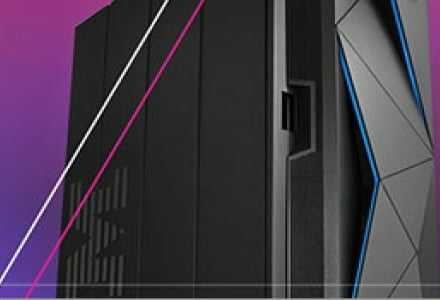 ICSF is the software on z/OS that provides access to the IBM Z CEX5S cryptographic hardware feature through the use of callable services that comply with IBM's Common Cryptographic Architecture (CCA). ICSF together with the IBM Resource Access Control Facility (RACF®) licensed program provide cryptographic services using the CCA security API. On Linux on Z, IBM offers a CCA API for the CEX5S and an IBM Enterprise PKCS #11 (EP11) API to the user. The CCA API shipped with the CEX5S is an enhanced version of the CCA API shipped with the CEX4S or CEX3. CCA is described here, and EP11 is described here. A comparison of the capabilities of CCA and EP11 is provided here to help customers choose the product that fits their needs. The PCIeCC2 is available as FC EJ32, Customer Card Identification Number 4767 (without blind-swap cassette custom carrier) and as FC EJ33, Customer Card Identification Number 4767 (with blind-swap cassette custom carrier) on IBM POWER8® servers, either on IBM AIX®, IBM i®, or PowerLinux® (Red Hat® Enterprise Linux (RHEL), SUSE® (a MicroFocus company) Linux Enterprise Server, or Ubuntu®) operating systems. 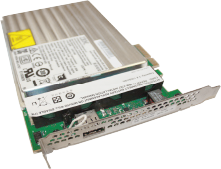 The PCIeCC2 is available as a machine type-model 4767-002 on x86 servers on either Microsoft® Windows® Server, SLES, or RHEL 64-bit operating systems. IBM offers a Common Cryptographic Architecture (CCA) Support Program for the IBM 4767 PCIe Cryptographic Coprocessor, at no charge, to the user. CCA for the 4767 is an enhanced version of the CCA Support Program shipped with the IBM 4765 PCIe Cryptographic Coprocessor. The IBM 4767 hardware provides significant performance and architectural extensions over its predecessor while enabling future growth. The secure module contains redundant IBM PowerPC 476 processors, custom symmetric key and hashing engines to perform AES, DES, T-DES, SHA-1, SHA-384, SHA-512, and SHA- 2, MD5 and HMAC as well as public key cryptographic algorithm support for RSA and Elliptic Curve Cryptography. Other hardware support includes a secure real-time clock, hardware random number generator and a prime number generator. 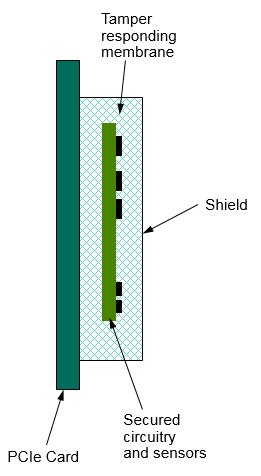 The secure module is protected by a tamper responding design that protects against a wide variety of attacks against the system. Hardware has also been designed to support the highest level of RAS requirements that enables the secure module to self-check at all times. This is achieved by running a pair of PowerPC processors in lock step and comparing the result from each cycle by cycle. Also all interfaces, registers, memory, cryptographic engines, and buses are protected at all times using parity, ECC, or CRC. Power on self-tests that are securely stored inside the secure module verify the hardware and firmware loaded on the module is secure and reliable at every power on. During the final manufacturing step, the coprocessor generates a unique public/private key pair which is stored in the device. The tamper detection circuitry is activated at this time and remains active throughout the useful life of the coprocessor, protecting this private key as well as other keys and sensitive data. The public key of the coprocessor is certified at the factory by an IBM private key and the certificate is retained in the coprocessor. Subsequently, the private key of the coprocessor is used to sign the coprocessor status responses which, in conjunction with a series of public key certificates, demonstrate that the coprocessor remains intact and is genuine. The IBM 4767 HSM has been designed to meet the FIPS 140-2 Level 4 requirements by protecting against attacks that include probe penetration or other intrusion into the secure module, side-channel attacks, power manipulation, and temperature manipulation. From the time of manufacture, the hardware is self-protecting by using tamper sensors to detect probing or drilling attempts. If the tamper sensors are triggered, the 4767 HSM destroys critical keys and certificates, and is rendered permanently inoperable. Note therefore that the 4767 HSM must be maintained at all times within the temperature, humidity, and barometric pressure ranges specified. Refer to the environmental requirements section below. This section describes requirements for the system in which the IBM 4767 is installed. The coprocessor can be installed in an x86 server that has at least one PCIe slot capable of accepting a standard height, half-length PCIe card and that meets the power and environmental requirements specified below. From the time of manufacture, the IBM 4767 cryptographic card must be shipped, stored, and used within the following environmental specifications. Outside of these specifications, the IBM 4767 tamper sensors can be activated and render the IBM 4767 permanently inoperable. Using a 4767 in a server that does not meet these requirements voids the warranty. Shipping: The card should be shipped in original IBM packaging (electrostatic discharge bag with desiccant and thermally insulated box with gel packs). Storage: The card should be stored in electrostatic discharge bag with desiccant. A pair of batteries mounted on the coprocessor board provides backup power when the 4767 HSM is not in a powered-on machine. These batteries must only be removed according to the documented battery replacement procedure to avoid zeroizing the coprocessor and rendering it permanently inoperable. A battery replacement kit can be obtained from IBM. See the How to order page for details.